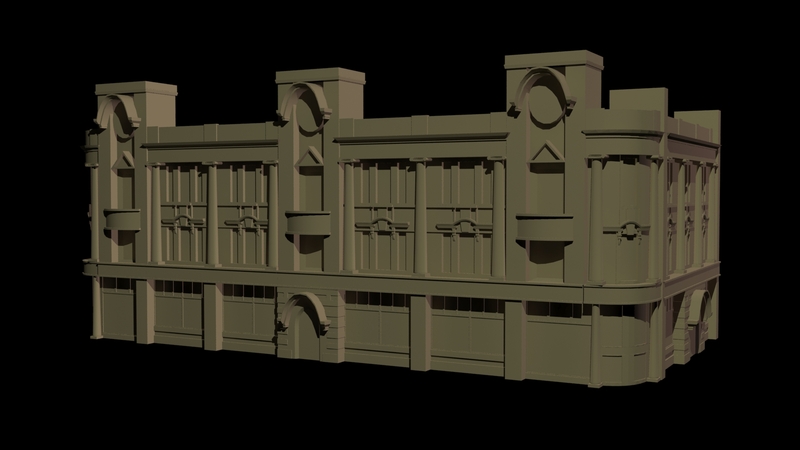 To get our project developed to a more finished stage for our September showing, the group have decided to get some of the key remaining building that once occupied the areas around Paragon Station produced. 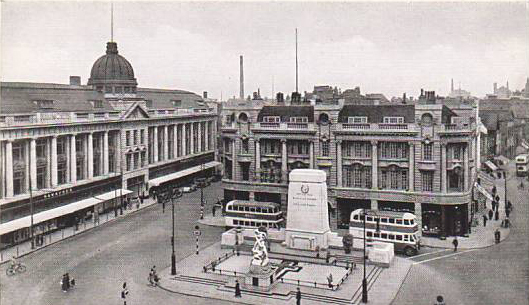 The building that I am modeling stood behind the Boer War Memorial in Paragon Square until 1941 when it was destroyed in a German bombing raid during World War 2. Only a small section of the building remains today and there are only a few photographs that exist that show the front part of the building. The building behind the buses and the Hammond’s store adjacent existed during our projects setting, but were both destroyed during World War 2. This is my progression so far; a bit more to model, then texturing. Paragon Project: Hammond’s of Hull. The original Hammond’s building which stood in the location of the current House Of Fraser store in Paragon Square was destroyed in 1941 during a German bombing raid. 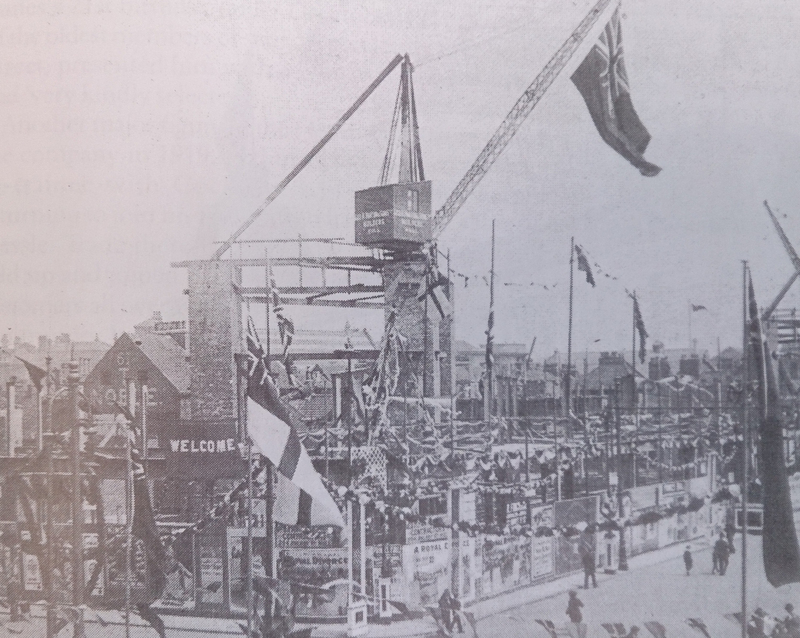 Researching the period of construction and completion date proved to be quite difficult to determine, I eventually found that it was under construction during our setting of 1914 and it opened it’s doors in 1916, I only managed to find one photo of the building under construction in a book called ‘Hammonds of Hull: A Store of Good Things for Family and Home’ by John Markham. 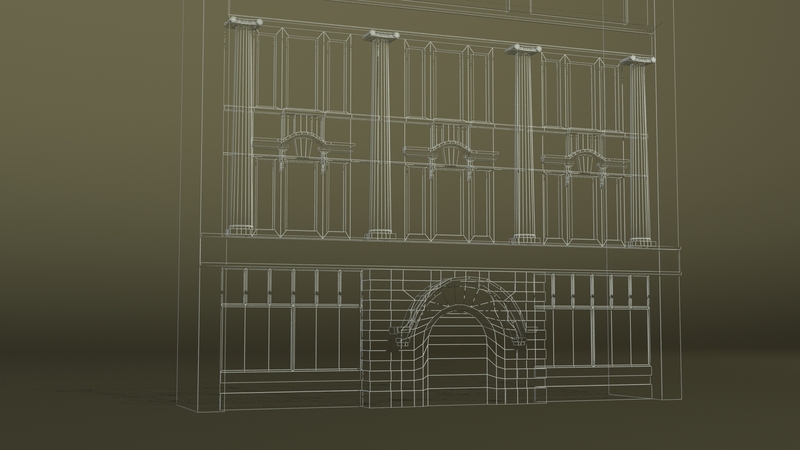 The photo showed the building in the early stages of construction with no real recognisable features relating to the grandeur of the completed building, with this in mind I decided to shift the construction progression forward to that of a more finished state. 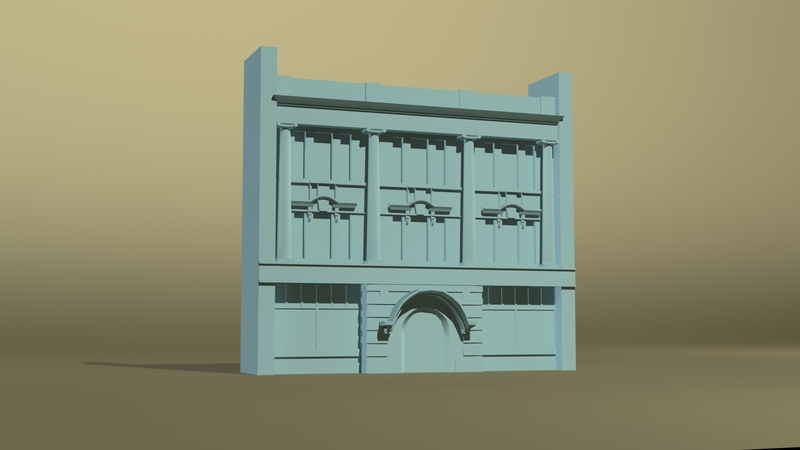 I know that this may be “historically inaccurate” but I feel that recreating a building that perhaps most people will not know once existed would be more aesthetically pleasing than showing the skeletal structure that lied underneath. The model of Hammond’s that I am currently working on. As well as populating our environment with buildings, trams, car and scenery; people will also have to be included. Trying to model a person from scratch in 3Ds Max is would be a very time intensive task for my limited skills, so I have chosen to approach the task by using a piece of software called Makehuman. 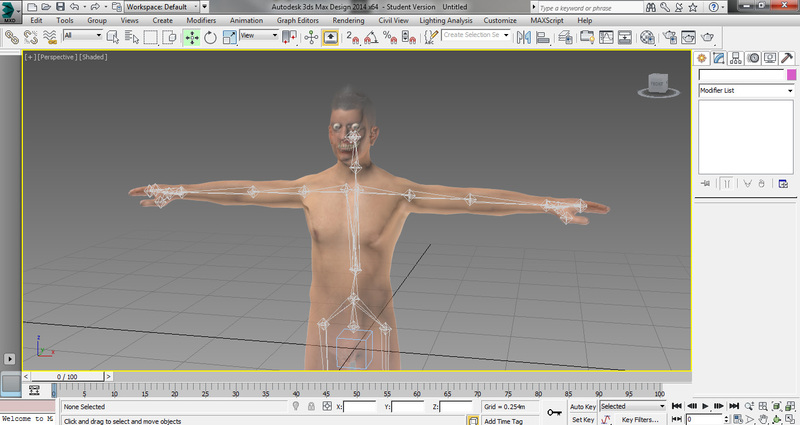 In Makehuman a 3D model of a person is available to alter and manipulate in endless configurations. 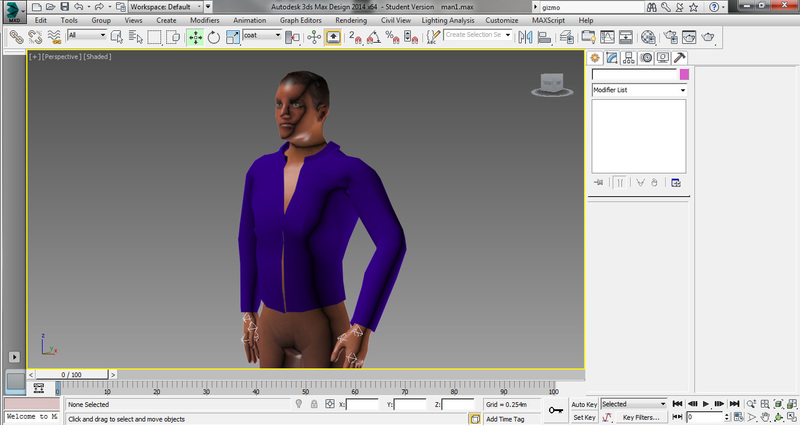 Models can be exported in various formats, for a pose-able model for 3Ds Max I exported in Collada (dae) format. 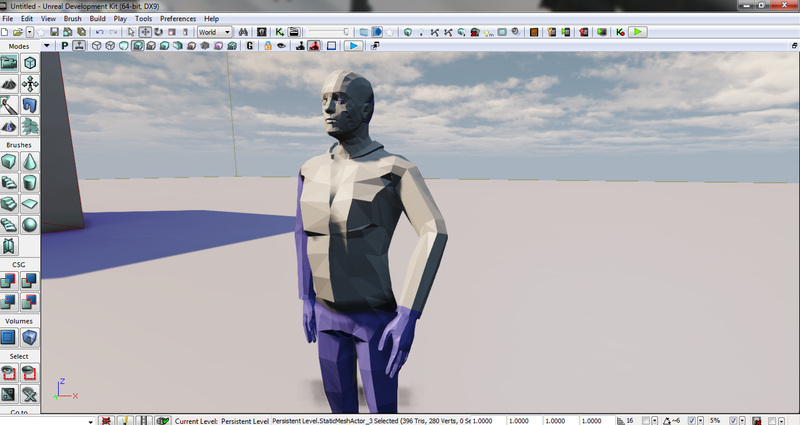 The pose-able dummy can be seen under the skin of the model. 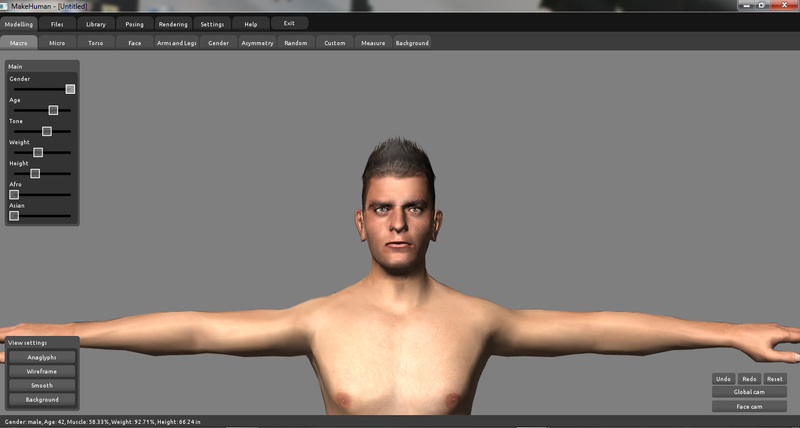 Our people will need clothes, to do this i simply converted the skin to an editable poly then copied a region i.e. 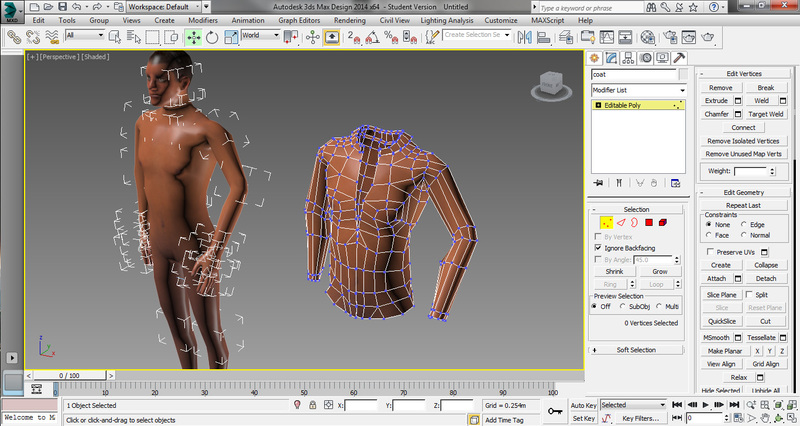 body, then I pulled and moved vertices to resemble a shirt then extruded the whole are so that it was slightly larger the the original and added some colour to distinguish from the skin-tone. This was my first attempt so isn’t brilliant, but I am happy with the results. 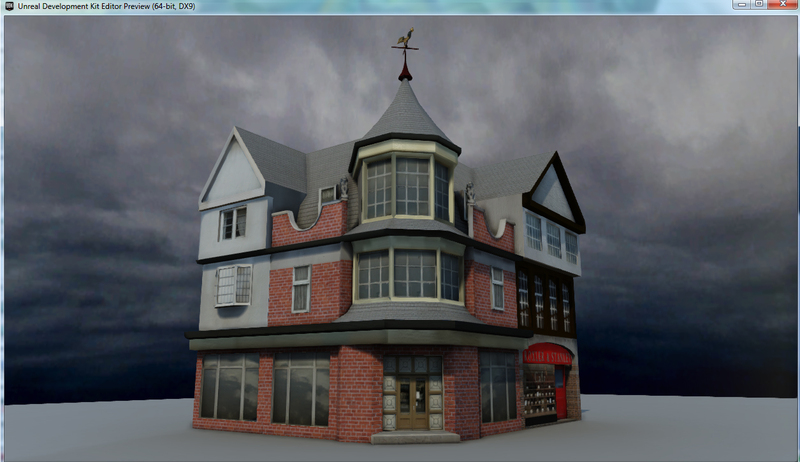 This is the texture free model imported into UDK Editor in which we will be making our environment in. Paragon Square is situated on Ferensway ( formally Brook street ) opposite the Royal Station Hotel and Paragon Station in Hull. The buildings around Paragon Square have under gone several changes within the last hundred years and the dominant building in the area is the House of Fraser building ( formally Hammonds of Hull ). The building that exists today was built in the 1950’s to replace the Hammonds building that was destroyed in 1941 during the the bombing raids of World War 2. The Hammonds building in Paragon Square on opening day in 1916. The Hammonds building during construction, shown here in June 1914. This photograph will be used as a reference on which to base a 3D model of the Paragon Square area upon. Images from: Hammonds of Hull: A Store of Good Things for Family and Home. By John Markham. and Google Maps.